The Milwaukee WCE 30 Wall Chaser has a powerful 1,500 watt motor and is ideal for the installation of conduit for electrical cables. It has easily adjustable cutting width, and high performance electronics with overload protection. 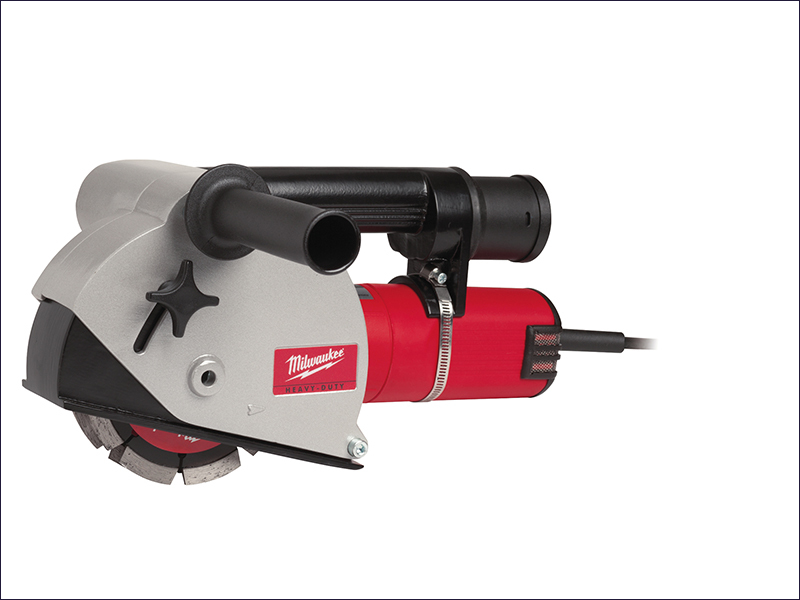 The wall chaser has current limitation for soft starting, and in-line dust extraction connection for a clean work space. Supplied with 2 diamond discs, special chisel, keys and bayonet adaptor. Disc diameter: 125 mm (5in). No load speed: 9500 /min.